Light stand with height scale! 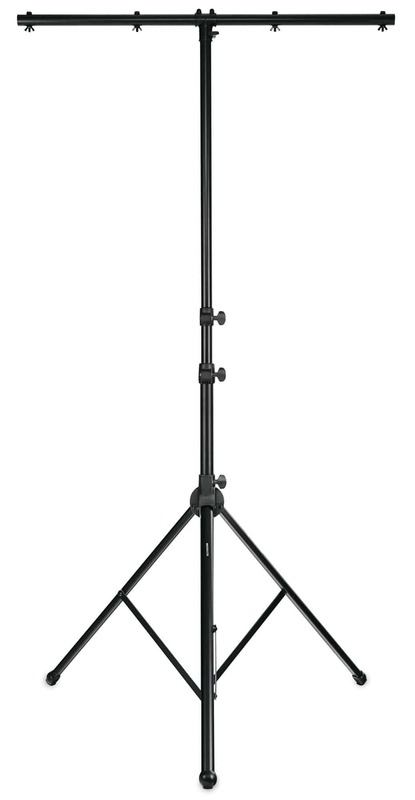 Made of lightweight aluminum, the Showlite LS310-PRO light stand can accommodate up to 4 spotlights. The stable stand, air suspension system and extra grip clamps make handling even easier. 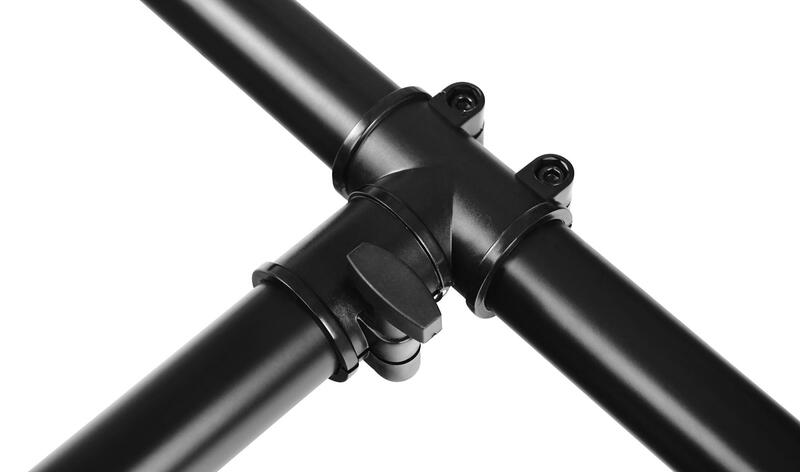 Stable yet lightweight legs form the foundation of this light stand. The feet are concave on the inside, allowing for a compact pack size. 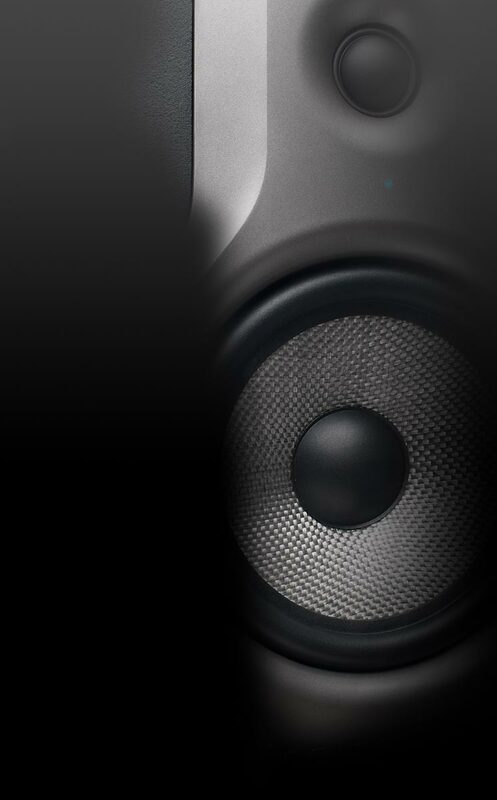 The soft, specially shaped rubber feet prevent the stand from slipping. 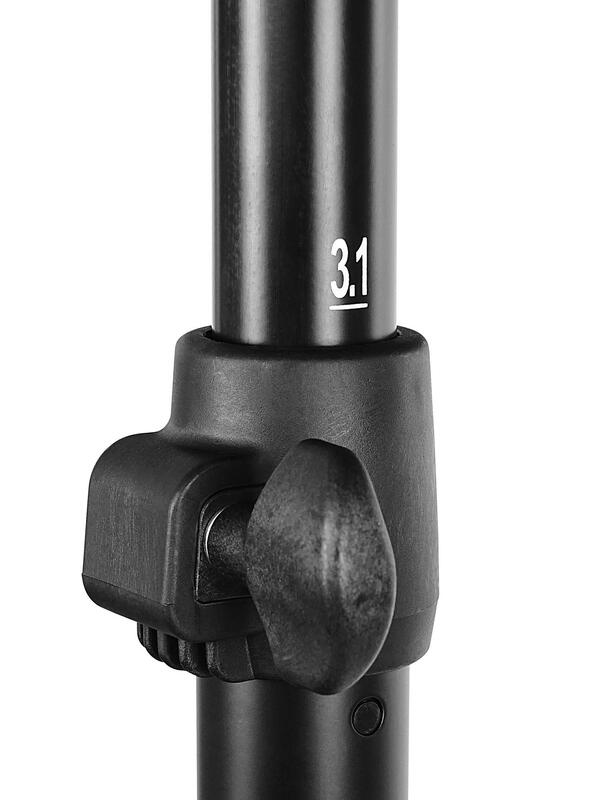 The extra handy Fast Lock clamping mechanisms hold reliably and make additional locking pins completely superfluous. 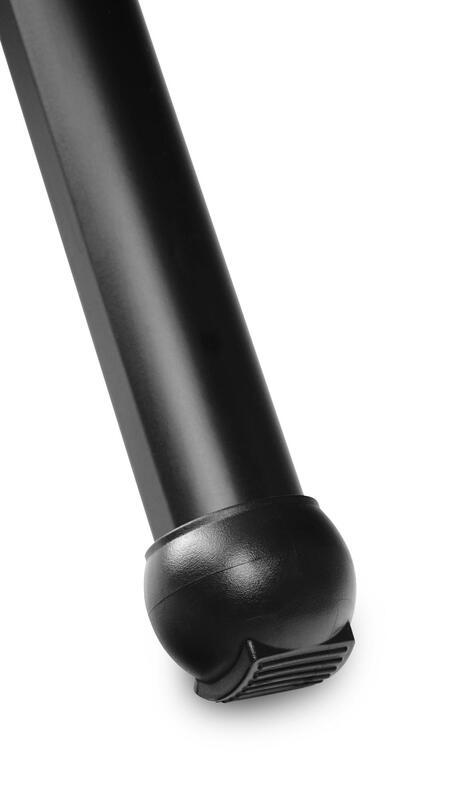 The bottom tube is equipped with an Air Pad mechanism: this allows the air to be let out in a controlled manner, thus allowing for safe disassembly. 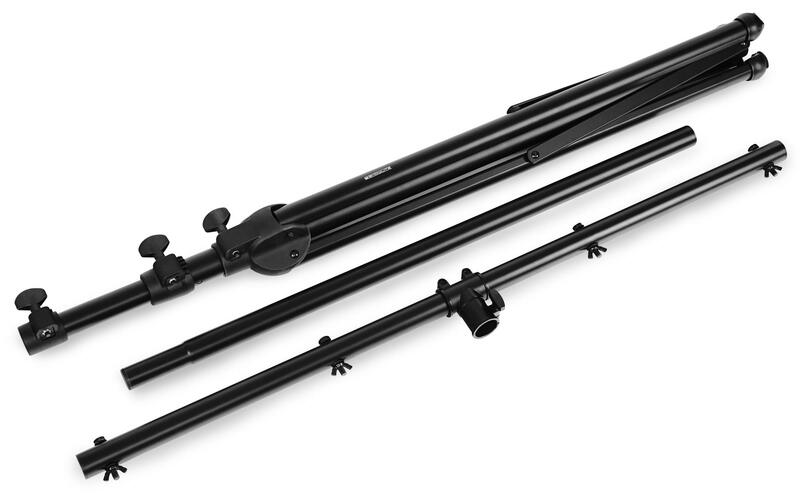 A 95 cm wide crossbeam guarantees sufficient space for up to 4 lighting effects. 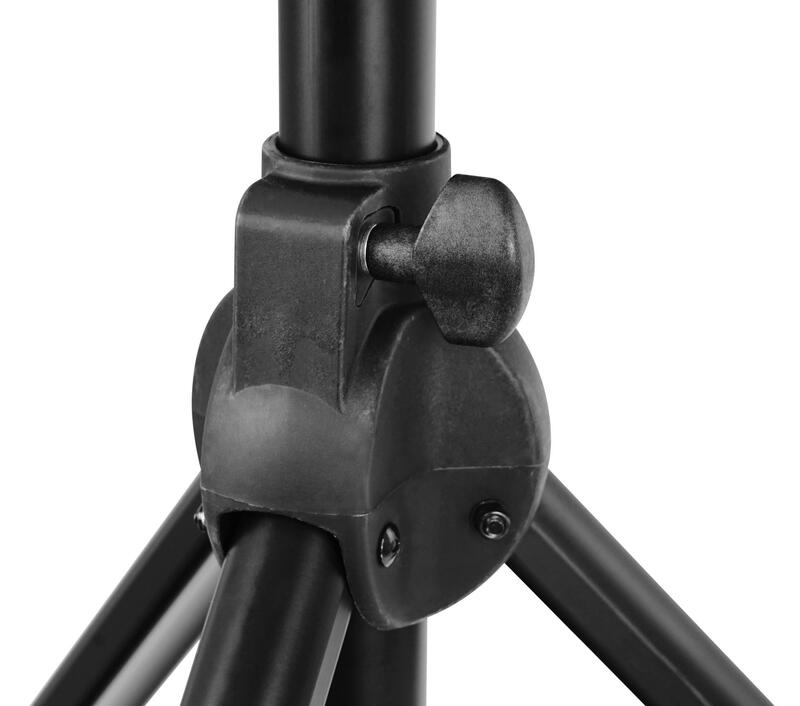 A special feature of this light stand is the attached scale: it is easy to read from the ground, making it easy to bring existing light stands to the same height. 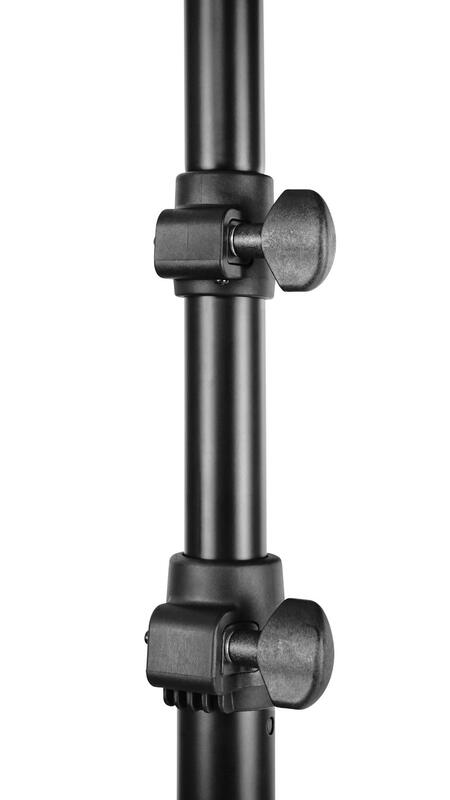 A large stand area, non-slip rubber feet, stable tubular construction and very handy clamping mechanisms make this light stand the ideal companion for hard work on stage. Light and stable light stand that can reach heights up to 3.10 m!